Researchers at Trustwave, a company that provides ethical hacking services, have made it easier for penetration testers and red teamers to search for social media profiles. It has released an open source intelligence tool called ‘Social Mapper’ that uses facial recognition to compare social media profiles across different sites based on a name and picture. This software tool is aimed at facilitating social engineering attacks. Social Mapper automatically locates profiles on social media sites, such as Facebook, Instagram, LinkedIn, Google+, Vkontakte and microblogging websites like Weibo and Douban. Automated searching of profiles can be performed much faster and for many people simultaneously. “Performing intelligence gathering is a time-consuming process, it typically starts by attempting to find a person’s online presence on a variety of social media sites. While this is an easy task for a few, it can become incredibly tedious when done at scale.” Trustwave states in a blog post. How does Social Mapper work? Social Mapper doesn’t require API access to social networks. On the basis of the requirement, the Social Mapper first prepares a list of targeted people for processing. It then uses names and photos as input to scan social media profiles online. The software tool then generates reports in the form of spreadsheets, which include profile information like photos, emails, etc. Based on provided names and photos, it takes approximately 60-70 seconds to scan one profile. It takes no less than 15 hours for searching details of 1,000 people. 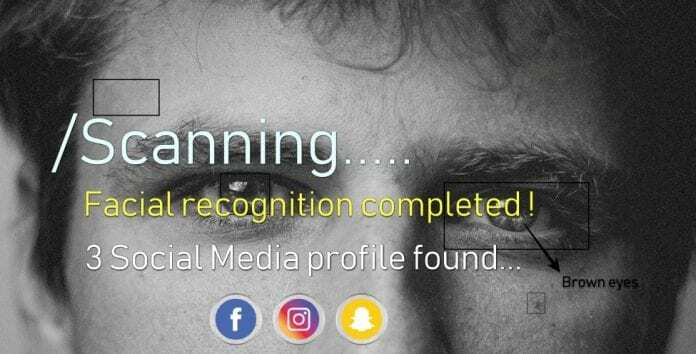 Social Mapper “takes an automated approach to searching popular social media sites for names and pictures of individuals to accurately detect and group a person’s presence, outputting the results into a report that a human operator can quickly review”. Social Mapper is written in Python and runs on Linux, chromeOS (Developer Mode), Windows, and Mac. However, before installing Social Mapper, latest version of Firefox, the Selenium API, and Geckodriver needs to be installed. After installing Social Mapper, it can be set into action by running the social_mapper.py file with target information and target social media site. The basic syntax of the command is as follows. To start up the tool 3 parameters must be provided, an input format, the input file or folder and the basic running mode. The –i argument represents the input provided to the tool, which can either be a ‘name’, ‘csv’, ‘imagefolder’ or ‘socialmapper’ resume file. The –f specify the format of the input provided to the tool, which can be ‘social mapper’, a ‘name’, ‘csv’, or ‘imagefolder’. The –m represents the mode, which can be set as ‘fast’ or ‘accurate’ depending on the requirement. Finally, we provide social media website information to the tool. The tool accepts –a argument as ‘select all social media’. The list of abbreviations provided below can be inputted into Social Mapper to collect information about targeted users. You can read more about the Social Mapper on GitHub here. I had read your all post and its really nice and working. Please write a post about “how to get blue tick on facebook page also.